It’s not so much about the competition, but about the story. Share your special motorcycle story with thousands of others who relate. The story should be related to motorcycles and riding. The story should not exceed 10 minutes. 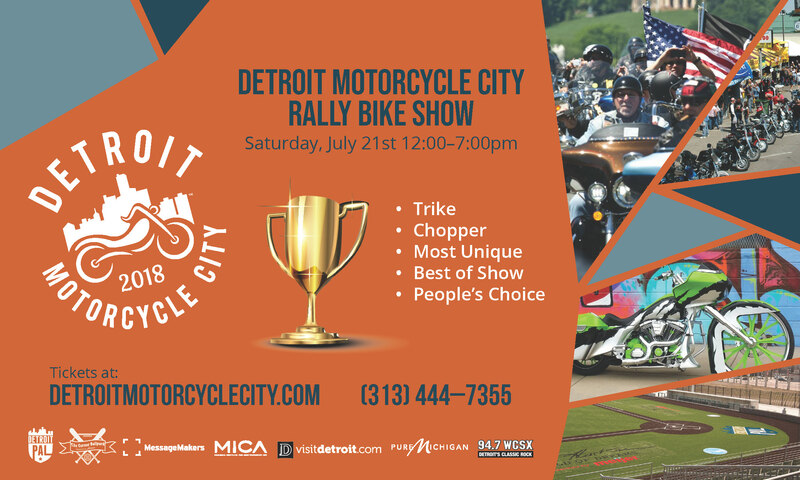 Submit online here https://goo.gl/forms/oV45DC0OlNFm6wpx2 or email MP3/MP4 story to tina@detroitmotorcyclecity.com. Part 1: Submit an audio or video of the story that is 10 minutes or less. Part 2: Finalist will be asked to tell their story on site on Sat, July 21st, 2018. Show off your bike along Michigan Ave and bring home a trophy!! !